Access free tools to improve your knowledge of English and French. Polish your writing skills with our quizzes, participate in the Our Languages blog, and explore a selection of language-related Canadian links. Find advice on grammar, spelling and punctuation, and solutions for difficult points of English and French. Find the translation for words used in specific fields, in English and French. 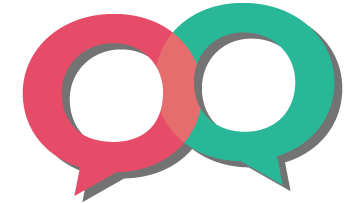 Read posts written by language lovers, and find out how you, too, can write for the Our Languages blog. Test your language knowledge and polish your writing skills—all while having fun. Explore links to writing resources, glossaries and dictionaries, language learning, and organizations and events. Join the community of ambassadors dedicated to promoting and creating trusted, high-quality language resources. Read a description of our main resources, and find out how our resources are funded and how to contact the language team. Get and share the latest language news: follow us on social media and get updates by email. 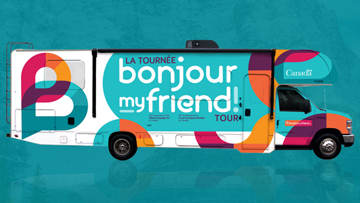 Find out about La tournée bonjour my friend! tour, taking place from April 15 to June 22 to promote linguistic duality in Canada. Recommendations from the report “The next level: Normalizing a culture of inclusive linguistic duality in the federal public service workplace”: find out how the work is progressing.